February 2016- A scale model of a strip-mining shovel, donated to the museum by UMWA, District 12, Benton, IL. 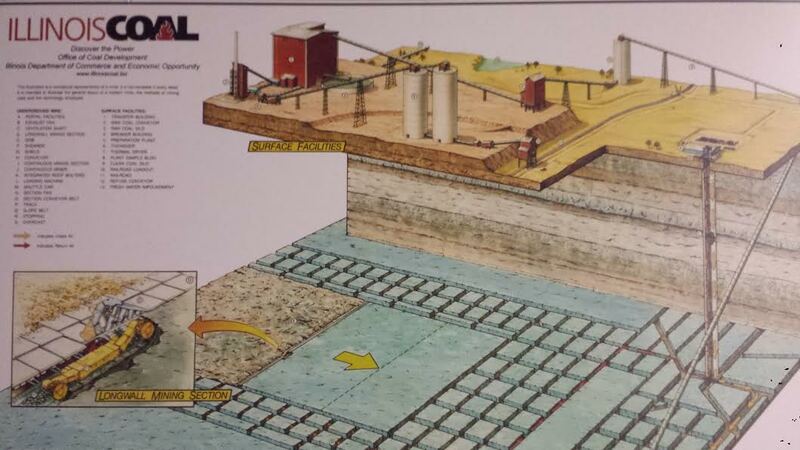 This replica will anchor our 'How Coal is Mined' exhibit. May, 2016- A Dell computer and monitor, donated by Lindell and Jean Loveless. This gift will be used to enhance a display. May 2016- A variety of fossils and "miner's dollars" from the The Carboniferous Period, donated by the Illinois Geological Society. Thanks to Scott Elrick. 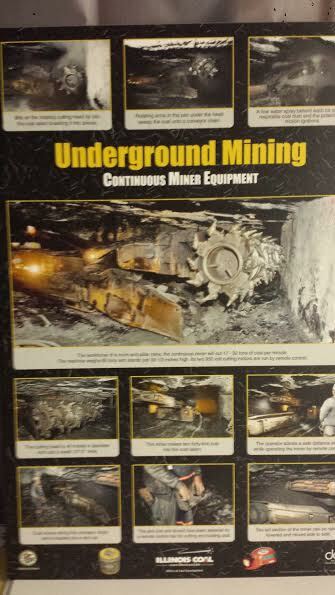 These items will be included in the 'The Formation of Coal' exhibit. 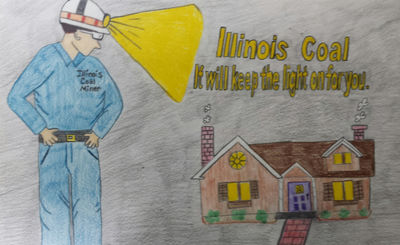 starting with the Illinois Coal Association contest through DCEO. 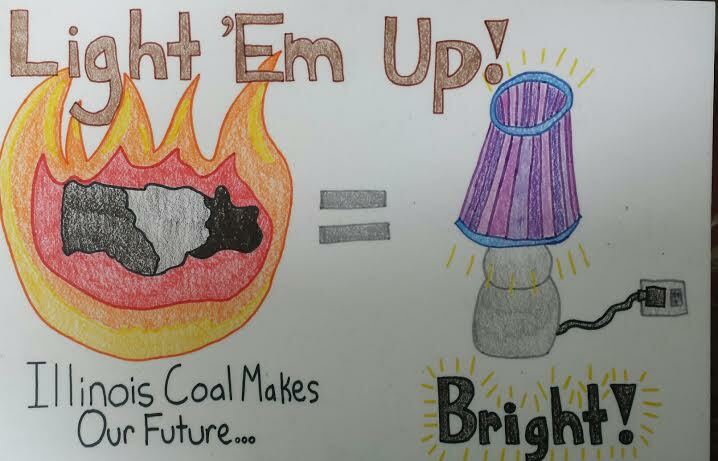 The coal education program of DCEO also added the posters and then passed the materials on to DNR for storage before turning their lights off. 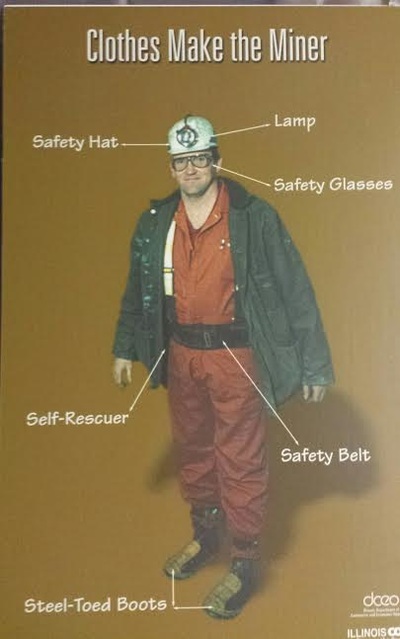 An alert DNR official then remembered hearing of our coal museum and called. 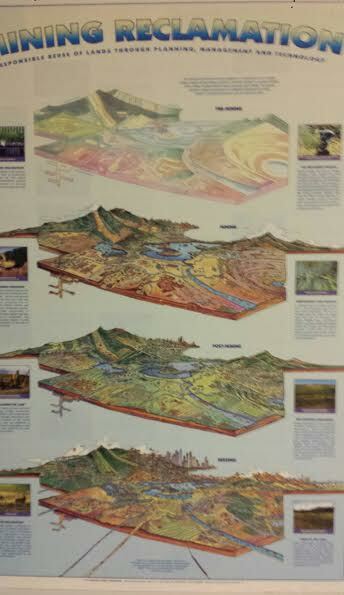 Several museum displays will benefit: the Children's Area, 'Uses of Coal', 'Power Production, Reclaimation', 'Types of Mining, and more. 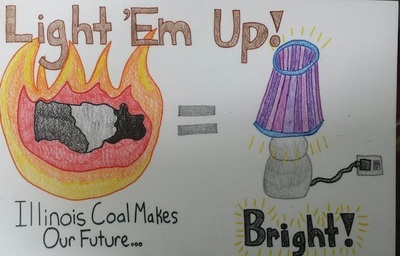 Thank you, Bill Hoback and Linda Dunbar for making and saving the posters, Phil Gonet of the Illinois Coal Association, and Dean Spindler for remembering a conversation from several years ago. Visitors to the Children's Area will be impressed with the artwork of the calendar contest winners. June 2016 acquisitions are off to a great start! Even though working through lean times at their own agencies,several of the remaining public service professionals made their dedication to education abundantly clear. We at the Illinois Museum of Coal at Gillespie will strive to pay forward their generosity. Dr Chris Widga of the the Illinois State Museum, Research and Collections, has been instrumental in our acquisition of the centerpiece of our proposed Children's Coal Museum. Originally designed and constructed as an educational feature for the Governor's tent at the Illinois State Fair, this crawl-though exhibit has thrilled hundreds of kids. Curator Paul Countryman helped with the move and reconstruction of the mine. August 2016 - Our proposed mine safety/mine rescue exhibit received a huge boost from Illinois Eastern Community college. 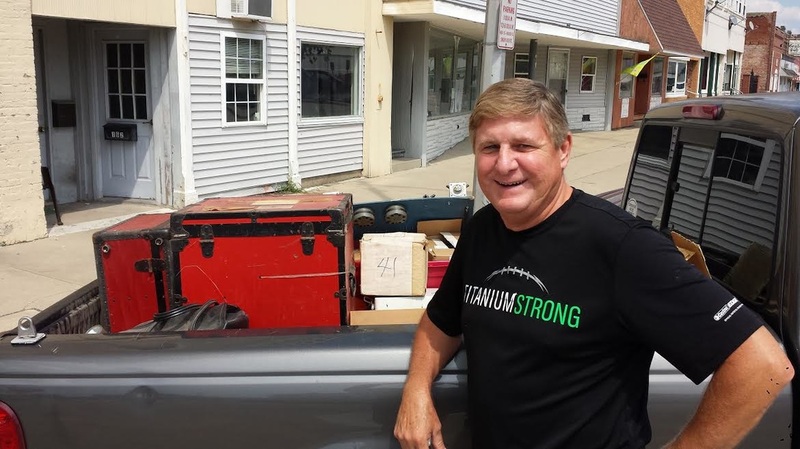 Kim Underwood, director of a mine safety program based in Girard, is moving the office to Springfield and called upon us to help 'clean out the closets'. 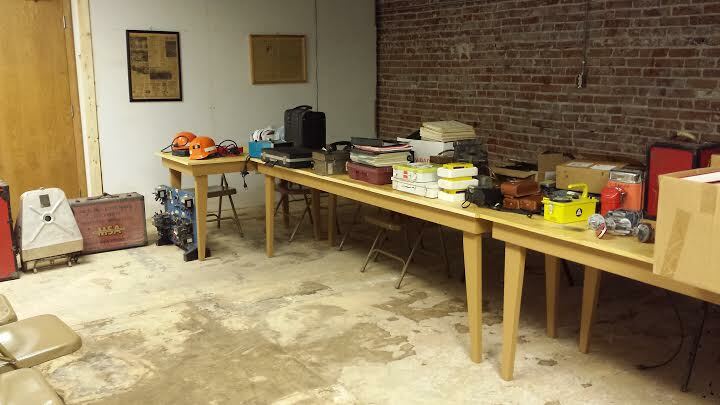 Mine rescue equipment, testing equipment, safety devises, and a small library training manuals and historic articles are shown to the right.